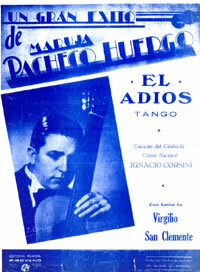 Maruja Pacheco Huergo, and that was the name of the young lady was by no means a stranger to the tango world. 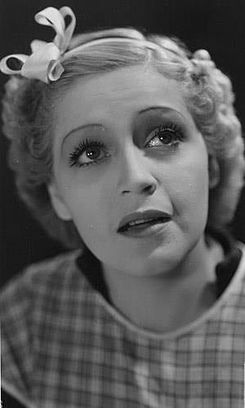 She was a classically trained pianist with over 500 recordings of different rhythms, a lyricist, a composer and a script writer. Later in the same year she will be also awarder a prestigious title Miss Radio. But this night, as her mother suggested, she was working on an elusive melody, which, by the first rays of the morning sun has been shaped into her most famous tango – “El Adiós”. In a few days the new tango was presented to Ignacio Corsini. 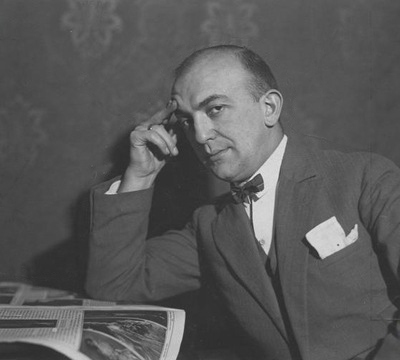 Corsini suggested a lyricist, Virgilio San Clemente, who wrote the first lines of the lyrics as soon as he heard this tango, and Corsini premiered it in February of 1938. In March, Francisco Canaro recorded it with Roberto Maida, and in April Edgardo Donato added his recording with Horacio Lagos. And as we left, we both smiled. … Jerzy Petersburski, a resident conductor of a prestigious Teatro El Nacional in Buenos Aires, who immigrated to Argentina in 1949 was born in Poland to a Jewish family with rich musical traditions. By the mid-30s he was quite popular as an author of numerous songs and musicals, as well as a director of a jazz orchestra. In 1936, the European afternoon was indeed dying in the shadow of the upcoming war, and in this year Jerzy Petersburski wrote his immortal tango, “To ostatnia niedziela” (“The last Sunday”). This tango was premiered by Mieczysław Fogg, and became an instant hit not only in Poland, but also in Soviet Union, where, with new lyrics, under the name “Utomlennoe solnce” (“The tired Sun”) it was recorded by three major orchestras in just one year. And in this hour you admitted that there is no more love. Even if you did not notice how close to each other is the music of “El Adiós” and “The Tired Sun”, born well over 10,000 kilometers one from another, the similarity of Castellano and Russian lyrics is quite obvious. A seminal rendition of El Adios was created by Ruben Juarez that expresses the utter desolation in those words and tune like no other. If this tango doesn’t make you cry you have no heart.